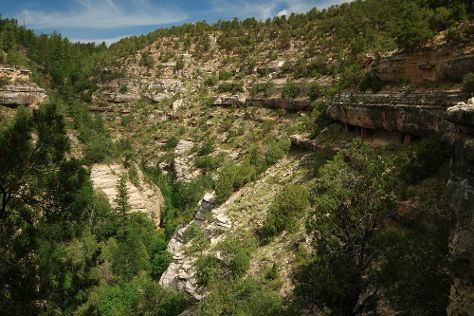 On the 18th (Fri), take in breathtaking views at Walnut Canyon National Monument, then explore the world behind art at West of the Moon Gallery, then fly down the slopes at Arizona Snowbowl, and finally take in the architecture and atmosphere at Nativity of the Blessed Virgin Mary Chapel. To see traveler tips, ratings, more things to do, and more tourist information, read our Flagstaff trip tool . Sedona to Flagstaff is an approximately 1-hour bus ride. You can also drive. Plan for little chillier temperatures traveling from Sedona in January, with highs in Flagstaff at 44°F and lows at 18°F. Finish your sightseeing early on the 18th (Fri) to allow enough time to travel to New York City. New York City is known for museums, nightlife, shopping, historic sites, and parks. Your plan includes some of its best attractions: make a trip to Central Park, admire the striking features of Rockefeller Center, explore the world behind art at The Metropolitan Museum of Art, and take in the views from Brooklyn Bridge. To see photos, ratings, and more tourist information, use the New York City attractions planner . Traveling by combination of flight and bus from Flagstaff to New York City takes 10 hours. Alternatively, you can fly; or drive. Traveling from Flagstaff to New York City, you'll lose 2 hours due to the time zone difference. Traveling from Flagstaff in January, New York City is a bit warmer at night with lows of 24°F. Finish up your sightseeing early on the 21st (Mon) so you can travel back home.